We are a Veteran-Owned company that proudly produces it's products in Alexandria, VA. 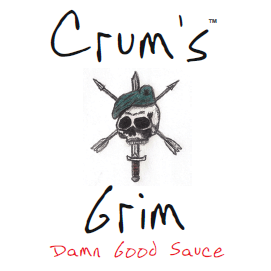 The goal from the outset was making sauces with flavor and we achieved that with our line of Damn Good Sauces. All of our chiles are roasted before being added to the sauce to bring out the flavor. There is nothing like the smell of roasted chiles in the morning. Our sauces range in heat from our very mild Cool Cucumber Jalapeno to our hot and flavorful Grit - made with the Scorpion Chile. 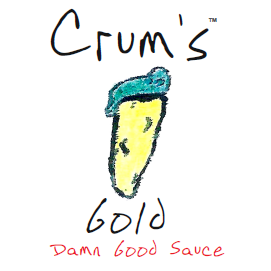 Our sauces are produced with the highest quality, all natural ingredients. We hope you enjoy our sauces as much as we do! 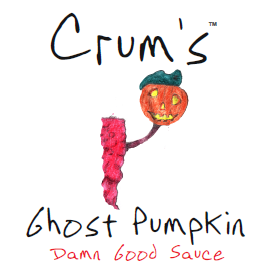 Enjoy the taste of pumpkin and spice with the heat of the Ghost Chile. Add a little extra to your fall favorites. For our heat lovers, Grim is the answer. A combination of the Scorpion and Seven Pot Chilies provides great taste with the heat that you desire. 1st Place Scovie Award Winner! The Fatali Chile provides a mild citrus taste and heat for a unique flavor all its own. The flavor of the Jalapeno Chile with the crisp, fresh taste of a cool cucumber. A refreshing green sauce with a hint of cucumber& mild heat of a Jalapeno. A warm sauce for the adventurous food lover. Made from the Scorpion Chile, Grit has a mellow smoke flavor with slow heat that lingers. Made with the mild and flavorful Fresno Chile, Hot Ta Molly is a good, all around, mild red sauce with a hint of smoke.